Japan is geographically blessed with a diverse climate ranging from subarctic to subtropic with mountains and rivers nearby, and four distinct seasons. In addition, since both warm and cold currents flow from the Sea of Japan and the Pacific Ocean, the convergence of these two currents creates conditions for an abundant and diverse sea life. In addition to the variety of seafood available, what makes Japanese cuisine especially appealing is also based on the use of an array of rare foods including seasonal foods from the mountains and various regions. Japanese style cooking focuses on preserving and bringing out the natural flavors of each ingredient in contrast to Chinese and French cuisine where flavors are added. 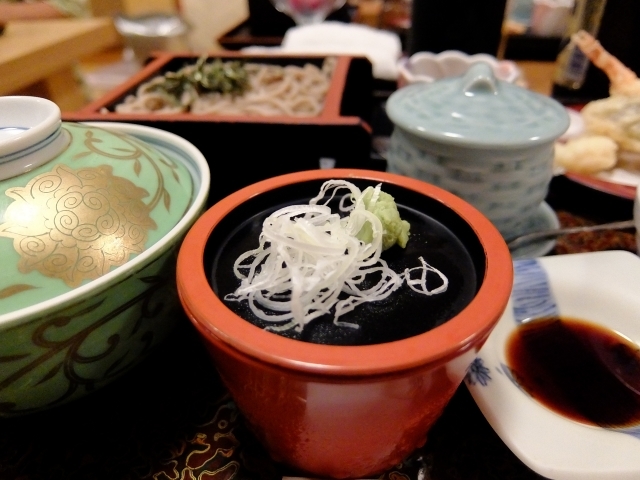 It is difficult to describe Japanese cuisine because of the diversity in styles that exist including kaiseki*, fucha* or shojin*, shippoku*, and kawauo* style cuisine, and cuisines focused on one ingredient such as eel or blow fish. Similarly, there are also different styles of restaurants including ryoutei*, kappo*, and a variety of restaurants that prepare dishes based on a single ingredient as mentioned above. *kaiseki - an artistic seasonal course meal served at restaurants or ryotei. *fucha -Chinese style shojin or vegetarian cuisine. *shojin - vegetarian cuisine developed by Zen Buddhist monks in Kyoto. *shippoku - a course meal of Japanese style Chinese dishes based in Nagasaki. *kawauo - freshwater fish cuisine. 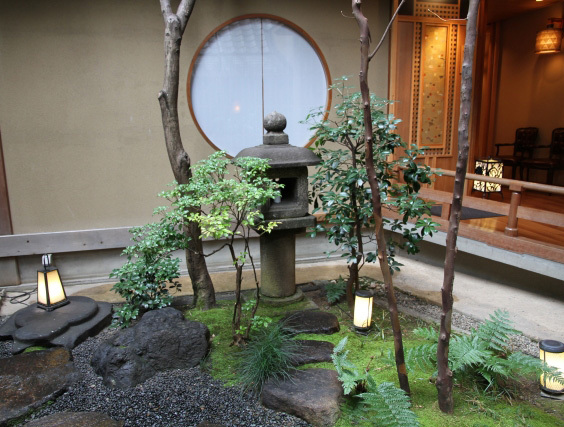 *ryoutei - traditional style Japanese restaurants serving full-course meals. Japanese ryoutei* and restaurants are different from izakaya* or other restaurants, not simply for the Japanese dishes that they serve but because of okami* and nakai* and omotenashi* that add to the dining experience. Furthermore, the restaurants that also provide geigi* services to entertain customers with music and dance are known as ryoutei. Since Japanese cuisine was originally served in private rooms along with entertainment, it is only when customers experience omotenashi from nakai and geigi while savoring the dishes, that Japanese cuisine can demonstrate its true purpose. This type of restaurant is uniquely Japanese. Though French cuisine at times might use flowers for decoration which is often done in Japanese ryoutei cuisine, an equivalent of a nakai or geigi or anything similar to the concept of omotenashi is hard to find. In contrast, due the recent popularity of gourmet dining and more people interested in simply enjoying the taste of authentic Japanese cuisine, there are also restaurants where these added services are not provided. Select the best according to your needs. *izakaya - Japanese style pub. *omotenashi - traditional Japanese concept of hospitality. 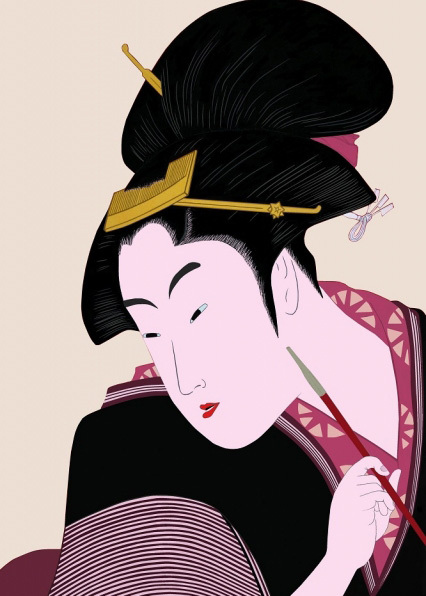 *geigi - professional female entertainers also known as geisha, commonly referred to as geiko in the Kansai area. "Hospitality" as the Japanese culture. Lately, while English words such as "service" and "hospitality" are being used heavily in the restaurant business, there really is no reason for these words to be borrowed since the word omotenashi exists in Japanese to describe the origins of hospitality in Japan. Japanese ryoutei and restaurants are very careful to satisfy customers with a first rate atmosphere and delicious meals, and omotenashi is the added thoughtfulness and dedication to relax the customer's mind and body. There is no manual for omotenashi but instead it is the spirit within the okami, nakai, and geigi.. In order to fully serve customers with true omotenashi spirit, there is a certain environment and exact tools that are necessary. The structure of the Japanese ryoutei and restaurant itself and the furnishings within are crucial in producing the omotenashi atmosphere. First, in the case of many Japanese ryoutei and restaurants, seating is not always immediately behind the entrance as in regular restaurants. In front of the entrance uchimizu* will be sprinkled, morishio* and tsukubai* will be set. One step inside the entrance, you will catch the faint scent of incense. Although it is hard to find one in Tokyo, you will often find gardens within the grounds of Japanese ryoutei and restaurants in regional areas, which you can enjoy catching a glimpse of while walking through the hallway towards your room. When you enter the room, there will be a traditional Japanese tokonoma* with a chigaidana* and shoin*. Between the lintel and ceiling is a ranma*, and the pillars are connected by a nageshi*. 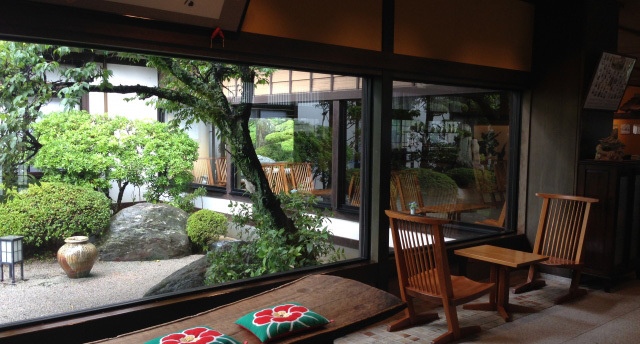 In the surrounding area, there is a hanging scroll, kichou*, biyoubu*, and ikebana*, all within your view. 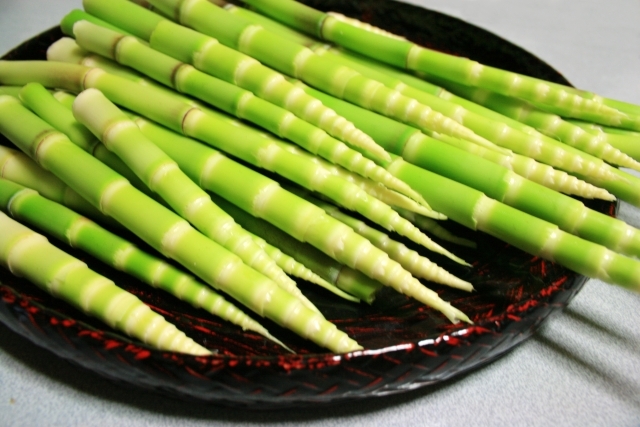 These are items that are hard to find in a typical Japanese home. As for the necessary serving utensils, there is earthenware, porcelain, lacquer ware, glass, silver, and iron utensils, and bamboo. Each utensil is made in areas well known for their crafts such as earthenware from Bizen, Hagi, Seto, porcelain from Kutani, Arita, and lacquer ware from Wajima, Echizen, and Nakayama. They are used based on the season and the dish being served. Such a meal cannot be truly seen on a daily basis nor offered at a regular restaurant. *morishio - symbolic mound of salt. *tsukubai - stone water basin. 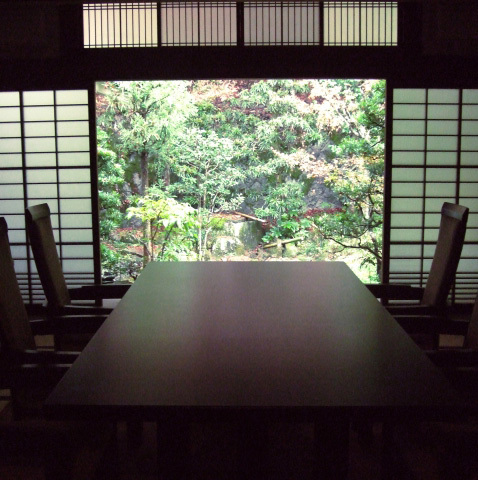 *tokonoma - alcove of a traditional Japanese style room. Recently though there has been an increase in banquets accompanied by female companions or professional attendants, as a professional of traditional Japanese ryoutei and restaurant omotenashi, there is nothing that can replace okami, nakai, and geigi. While companions have their own charm, it is quite difficult to match what is expected of omotenashi professionals in presentation, maintaining grace and etiquette while wearing traditional Japanese style clothing, and in service such as serving sake and conversing with customers. Ryoutei are the optimal place to enjoy traditional Japanese cuisine and entertainment with the music and dance performances perfected by geigi or the omotenashi from a professional okami or nakai. While the number of geigi is decreasing, till this day the traditions of the past are still being passed on. We hope that you have a chance to dine at a restaurant where you can experience the omotenashi of professional geigi entertainment. Ryoutei Entertainment -Houbu and Hougaku. While it is common for karaoke to be the main entertainment at banquets, it is not very suitable for a Japanese ryoutei and restaurant. It is instead best for customers to enjoy live dance and music when coming to a Japanese ryoutei and restaurant. The main instruments include a shamisen*, flute, hand and stick drum. The types of songs often performed are nagauta*, kiyomoto*, and tokiwazu*. Dance styles include the hanayagi, nishikawa, onoe, fujima, and inoue schools. Geigi* concentrate on studies either as a tachikata* or jikata* and practice houbu* and hougaku* daily with a teacher. Since the Meiji era, even within the trends towards western music in music education, the traditions of hougaku are still being passed on to this day as a large part of geigi performing arts. Starting from the year 2002, school curriculums changed to include hougaku in middle school music classes. So learn to play the shamisen or a kouta* as a hobby, or take the opportunity to visit a Japanese restaurant and experience the dance and music of geigi performers. *shamisen - three stringed traditional Japanese instrument. *nagauta - basic traditional lyrical music. 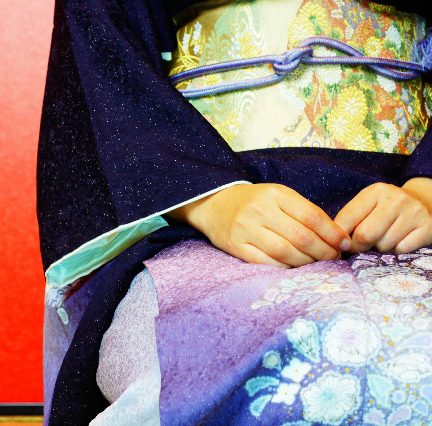 *kiyomoto and tokiwazu - styles of joururi or traditional Japanese dramatic recitation. *tachikata - traditional Japanese dance performer. *jikata - dance accompanist who sings or plays the shamisen or other instruments. *houbu - traditional Japanese form of dance. 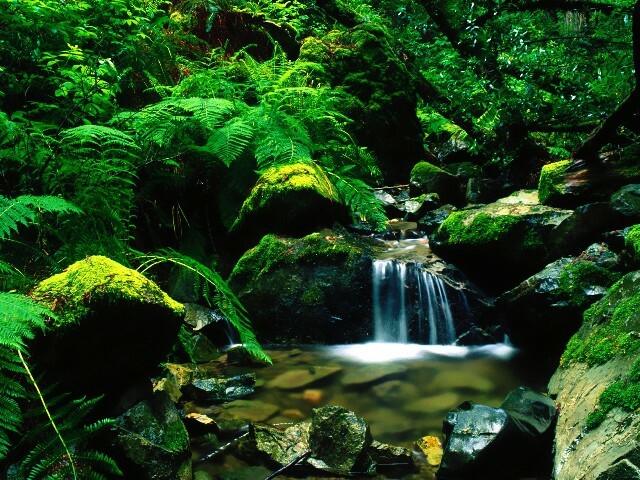 *hougaku - traditional Japanese music. *kouta - traditional Japanese short ballad. You can see the Japanese restaurant in the movie.